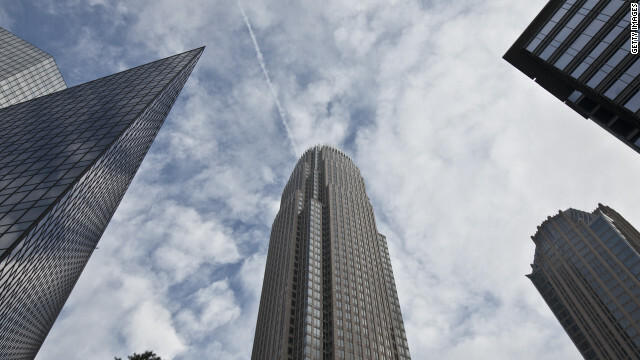 Sarah Aarthun says Charlotte, a major banking center, combines Southern charm with big-city amenities. Editor's note: This piece is part of a series of "city smackdowns" pitting rival cities against each other and letting you decide which one's best. Check back tomorrow for an equally passionate argument for Tampa, Florida, site of the Republican National Convention. Then visit CNN iReport to defend your city of choice! (CNN) -- Listen carefully at the corner of Trade and Tryon streets in uptown Charlotte, and you'll hear the sounds that make the Queen City one of the country's best-kept secrets. The laughter of old men playing chess in a courtyard. The music from Alive after Five, a weekly summer outdoor concert series that draws hundreds of young professionals looking to loosen their ties and unwind after work. The roar of the fans at Bank of America Stadium, where Panthers quarterback sensation Cam Newton has just breathed life into a good-as-dead team. The drone of the ever-present street sweeper, keeping the city as sparkling as its skyscrapers. The soft breeze rustling the blooming trees of spring. The silence on a hot summer day when most Charlotteans flee the city for the cooling relief of Lake Norman, just 20 minutes north. I last stood at that intersection in the center of the city more than two years ago, right before I moved to Atlanta. I thought foolishly then that I needed a bigger city. The truth is, I've never missed Charlotte more. I grew up in Northern Virginia, which -- if you're from the D.C. area -- you know is not really the South, despite its geographical location below the Mason-Dixon line. Southern, I am not. I take my tea unsweet, still haven't acquired a taste for collards and find it physically impossible for my mouth to form the word "y'all." So why did I fall in love with Charlotte, North Cackalacky? A former colleague of mine at The Charlotte Observer once wrote that the best icebreaker question in Charlotte is, "Where are you from?" The region, with 1.8 million residents, is teeming with newcomers, making it a melting pot of accents and cultures. In my group of friends, we hailed from Iowa, Indiana, New York, Boston and Michigan. Out of all of us, only one was part of the increasingly endangered species known as native Charlotteans. A big part of the draw is Charlotte's banking institutions. The city is home to Bank of America, and Wells Fargo's East Coast offices are headquartered there. But the mild year-round weather and its proximity to the beach and the mountains -- Charleston's just three hours away and Asheville a mere two -- are what entice people to lay down roots. The diversity of Charlotte's residents makes for an equally eclectic restaurant scene. My favorite Indian restaurant to date is Copper, in the streetcar suburb of Dilworth. When I crave a burger, I immediately think of Bad Daddy's Burger Bar. On a cold winter night, nothing warms you up like the chicken and dumplings at Dish in the funky neighborhood of Plaza Midwood, where tattooed and pierced waiters serve up comfort food with a side of sass. Have a sweet tooth? My mouth still waters at the thought of the salted caramel brownies at Amelie's French Bakery in the NoDa (North Davidson) Historic Arts District. Open 24/7, the Parisian-style bakery is typically filled with local entrepreneurs and college students sipping coffee and munching on pastries over their laptops. I could begin a debate about how Eastern North Carolina-style barbecue is superior to all others, but that's another column. Instead, if you're in Charlotte, get a pork barbecue plate at Bill Spoon's, a local institution in south Charlotte since 1963. When its namesake owner died in 2007, it prompted an outpouring of condolences from the community. Spoon's grandson still operates the restaurant, keeping up Bill's legacy of good 'cue and better service. And finally, no visit to Charlotte is complete without stopping at Price's Chicken Coop for the best fried chicken you will ever eat. Walk across the street and grab a spot on the grass to savor the crispy decadence: There is no seating inside, and lines form long before the noon lunch hour. At your first bite, you'll realize why actor-singer Lenny Kravitz said recently that the thing he misses most about filming "Hunger Games" in Charlotte is Price's chicken. I lived in Charlotte for five years, two of which were spent covering the city's nightlife and entertainment scene for the newspaper. As part of my job, I attended concerts, took in touring Broadway plays, sipped cocktails at almost every local watering hole, partied with NASCAR drivers and Panthers players, and rubbed elbows with the city's leaders at high-end charity events. Since I've left, the number of attractions has grown even further, with the opening of the NASCAR Hall of Fame and a four-venue arts complex comprised of three museums and an intimate theater. The Levine Center for the Arts takes up an entire uptown block, and each building is more visually stunning than the last. But the things I miss the most are running into friends at Target and Trader Joe's, being on a first-name basis with local business owners and being within an easy 15-minute drive of almost everything. This is the New South: Small-town charm and Southern hospitality are ever-present, but in a bustling, modern city with a lively arts and entertainment scene. Come September, Charlotte will be on the world's stage as an estimated 35,000 people, hundreds of news media and President Barack Obama descend on the city for the 2012 Democratic National Convention. It will easily be the biggest event to ever happen in Charlotte, whose local leaders have been consistently billing it as a world-class city worthy of such events. If you're one of those attending the convention, you might find the intersection of Trade and Tryon too busy to stop and take it all in. Charlotte, let this former resident be the first to congratulate you. You have arrived. Tampa or Charlotte? Cast your vote above and share photos and support for your city on iReport.com.